Don’t leave your garage door in the hands of someone inexperienced. At Action Garage Door, we have over 30 years of experience serving the great community of West Lake Hills. Our garage door professionals understand what it means to perform quality work. We strive to give our West Lake Hills customers time-tested materials and exceptional customer service. With Action Garage Door, you know that your garage will be in good working order in no time. 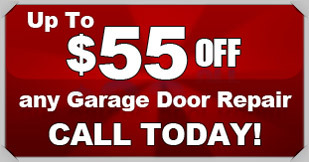 Action Garage Door provides the West Lake Hills area with a lot more than just garage door repair. We also provide commercial or residential door installation, garage door opener installation, and general maintenance and checkups. We even have the ability to carefully craft a custom garage door for your home or business. No two home or business owners are alike, and we are happy to assist you with choosing the right door for you. At Action Garage Door, we offer a variety of garage doors for installation in West Lake Hills homes and offices. Some of our options include Carriage House, Olympus, Classica, Stratford, Heritage, and Amarr garage doors. Installed new liftmaster belt drive openers on both garage doors. Also replaced all wheels on both garage doors along with a full tune up on both garage doors. Replaced springs on both garage doors as well. door was hit by customer, straightened out panels and did a full garage door tune up and motor service.. Only charged min fee.